"Born in Freeport, Texas, Robin Hazard has always been inspired by color as evident in her strong and vibrant paintings. A graduate of Southern Methodist University, her fine art degree focused on painting, drawing and printmaking. She has exhibited throughout the U.S. and has been included in many corporate and private collections including the American Bank in Houston and the Cancer Treatment Center in Corpus Christi, Texas. Recently, several pieces of the historic Whittington Valley were selected for permanent collection at Camp Aldersgate, Little Rock, Arkansas. Her drawings were featured at the Kimbell Museum’s Creative Process - Drawing Symposium in 1983. She has also been included in the 500 Exposition in Dallas, the Dallas Women’s Caucus for the Arts, Dallas Life Magazine, and in many gallery exhibits. 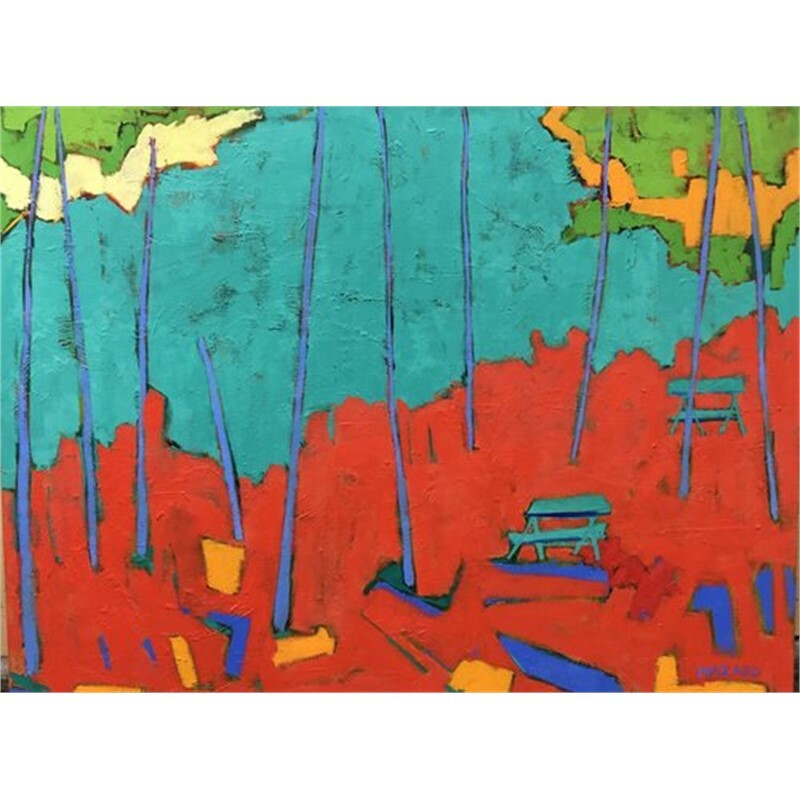 Her vibrant pastels have been featured in solo and group exhibits at the Baum Gallery of Fine Art at the University of Arkansas in Conway, St. Vincent Center for Women and Children, Garvan Woodland Gardens’ Plein Air Exhibitions, and Arts in the Air, at the Winthrop Rockefeller Institute, University of Arkansas, Morrilton, Arkansas. In the fall of 2008, she joined 16 artists currently exhibiting in Hot Springs for an exceptional exhibit in Shanghai, China, sponsored by the Chinese Government. Her work is currently represented by Boswell Mourot Fine Art in Little Rock, Arkansas, Boswell Mourot Fine Art in Miami, Gallery Central, in Hot Springs, Arkansas, Cerulean Galler in Amarillos, Texas, Latitudes, Rockport, Texas and Rockport Center for the Arts, Rockport, Texas." 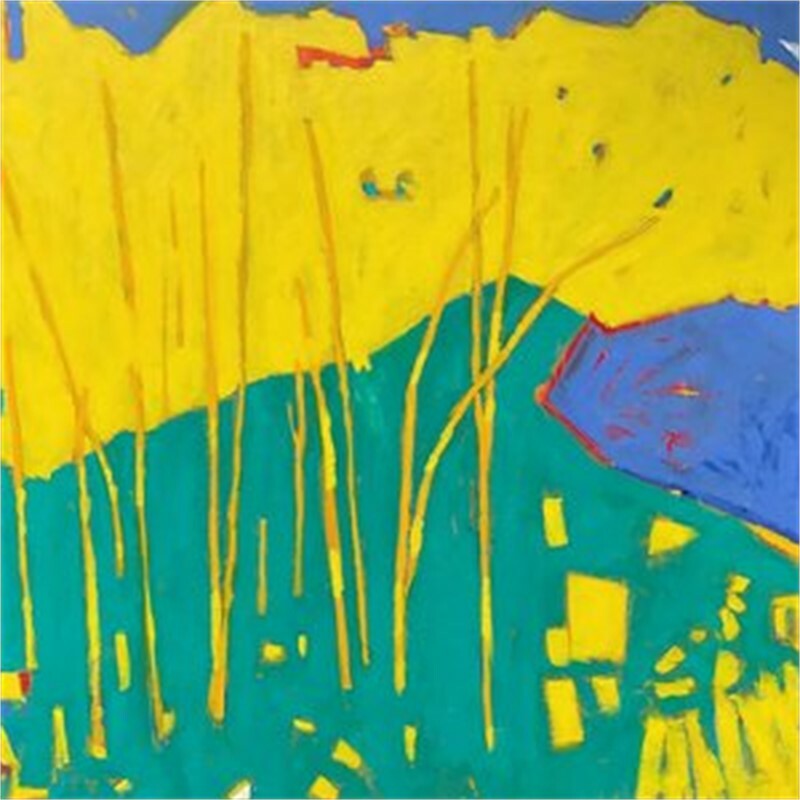 "Born in Freeport, Texas, Robin Hazard has always been inspired by color as evident in her strong and vibrant paintings. 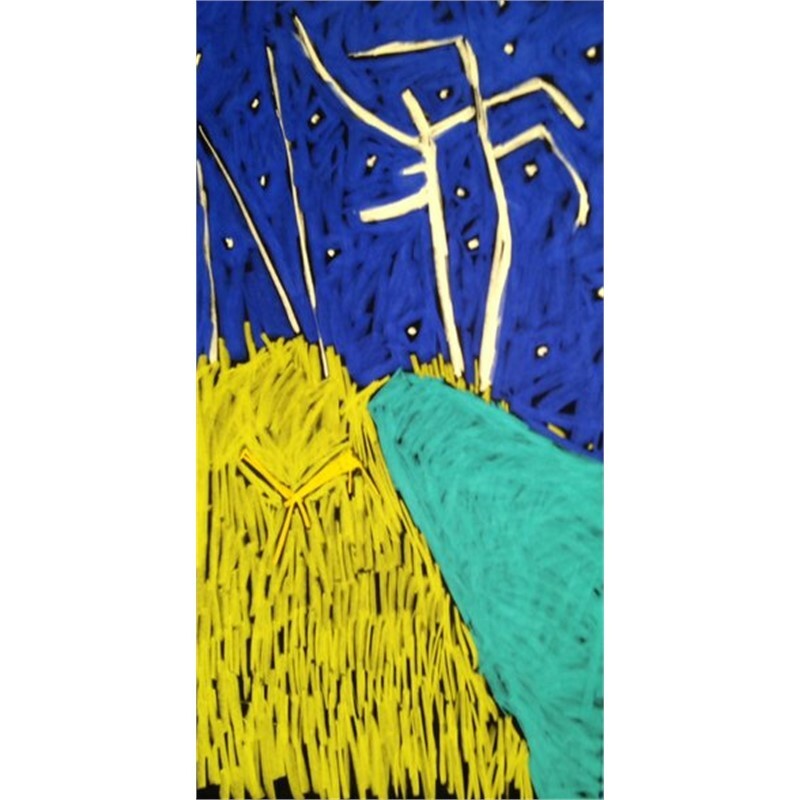 A graduate of Southern Methodist University, her fine art degree focused on painting, drawing and printmaking. She has exhibited throughout the U.S. and has been included in many corporate and private collections including the American Bank in Houston and the Cancer Treatment Center in Corpus Christi, Texas. Recently, several pieces of the historic Whittington Valley were selected for permanent collection at Camp Aldersgate, Little Rock, Arkansas. Her drawings were featured at the Kimbell Museum’s Creative Process - Drawing Symposium in 1983. She has also been included in the 500 Exposition in Dallas, the Dallas Women’s Caucus for the Arts, Dallas Life Magazine, and in many gallery exhibits. 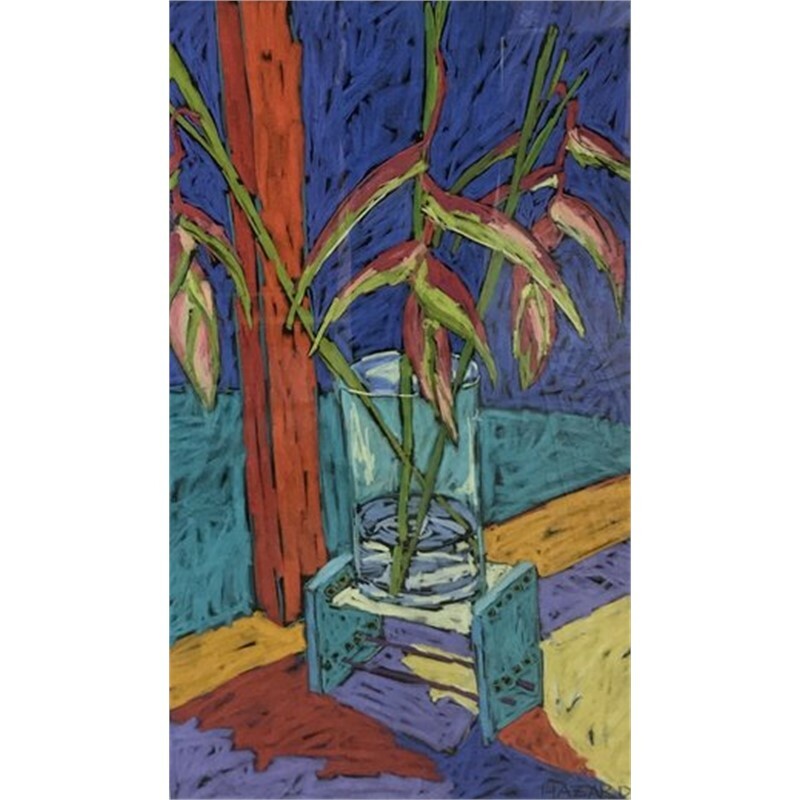 Her vibrant pastels have been featured in solo and group exhibits at the Baum Gallery of Fine Art at the University of Arkansas in Conway, St. Vincent Center for Women and Children, Garvan Woodland Gardens’ Plein Air Exhibitions, and Arts in the Air, at the Winthrop Rockefeller Institute, University of Arkansas, Morrilton, Arkansas. In the fall of 2008, she joined 16 artists currently exhibiting in Hot Springs for an exceptional exhibit in Shanghai, China, sponsored by the Chinese Government. Her work is currently represented by Boswell Mourot Fine Art in Little Rock, Arkansas, Boswell Mourot Fine Art in Miami, Gallery Central, in Hot Springs, Arkansas, Cerulean Galler in Amarillos, Texas, Latitudes, Rockport, Texas and Rockport Center for the Arts, Rockport, Texas."